Summary: On the afternoon of October 16, Deputy Director of the Economic Development Bureau of the Fushanyuan Administrative Committee of Yantai High-tech Zone, Director of Shanghai Merchants Liaison office Qi Zhengqiang, Deputy Director Chi Tongguang, Key Project Leader Bi Conghui visited Shandong China Coal Group E-commerce Park, negotiations on China Transport Intelligent Machinery Group settling in Yantai City High-tech Zone Fushanyuan project and strengthen deep cooperation with China Coal Group in the field of cross-border e business and other related matters, China Coal Group executive vice president Han Yong, Li Zhenbo, Deputy General Manager Fan Pei Gong, Guan Chenghui, China Transport Intelligent Group Yantai Cross-border E-commerce Company Director Wang Kun and other leaders to accompany the reception. 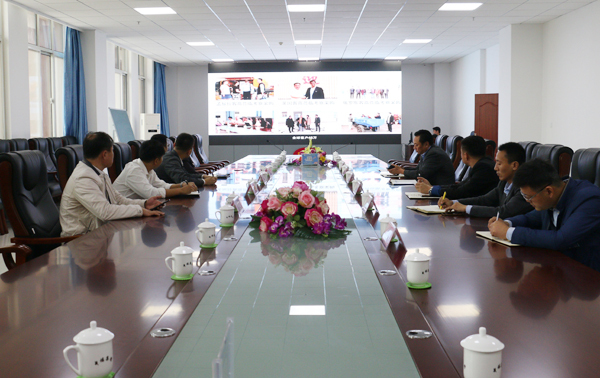 On the afternoon of October 16, Deputy Director of the Economic Development Bureau of the Fushanyuan Administrative Committee of Yantai High-tech Zone, Director of Shanghai Merchants Liaison office Qi Zhengqiang, Deputy Director Chi Tongguang, Key Project Leader Bi Conghui visited Shandong China Coal Group E-commerce Park, negotiations on China Transport Intelligent Machinery Group settling in Yantai City High-tech Zone Fushanyuan project and strengthen deep cooperation with China Coal Group in the field of cross-border e business and other related matters, China Coal Group executive vice president Han Yong, Li Zhenbo, Deputy General Manager Fan Pei Gong, Guan Chenghui, China Transport Intelligent Group Yantai Cross-border E-commerce Company Director Wang Kun and other leaders to accompany the reception. Visiting leaders and his entourages visited the China Coal Group Office Building, Group Cultural Exhibition Hall, The Intelligent Product Exhibition Hall And Group E-Commerce Companies, Cross-Border E-Commerce Company, Network Information Company, Software Technology Company, Weixin Agricultural Technology Company, Kate Intelligent Robot Company, during visiting, Group Executive Deputy Manager Li Zhenbo led a detailed description of China Coal Group development in recent years in the e-commerce, cross-border e-commerce, intelligent equipment manufacturing and other industries for the Fushanyuan Management Committee, and focused on advanced experience and outstanding achievements of Our Group in cross-border e-commerce platform construction and operation which praised by the visiting leaders. 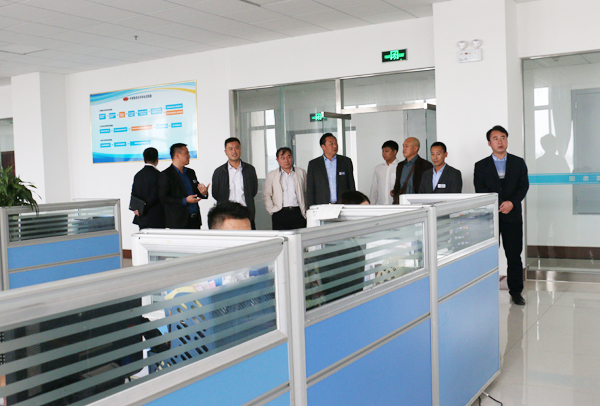 In recent years, China Coal Group actively respond to national call, adhere to the "manufacturing and Internet integration" development strategy, vigorously develop the industrial supply chain e-commerce, achieved success transformation from traditional sales model to modern e-commerce sales model, became national industry model of through the e-commerce information industry to promote the successful transformation of traditional enterprises, walked in the forefront of the development of the national information industry, had been rated as the Ministry of Industry and Electronic Commerce integrated innovation and demonstration enterprises, 2016 China IOII Innovation and Practice Award, Shandong Province IOII Management System Pilot Enterprise, Shandong Province E-Commerce Demonstration Enterprise, Shandong Province Outstanding E-commerce Enterprise, Jining City IOII Key Demonstration and Breeding Enterprise, spoke highly of by the municipal, provincial and national leaders for many times. China Coal Group independently developed and operated the domestic first machinery manufacturing industry cross-border B2B business platform - 1kuang.net, to fill the blank of domestic and foreign industrial and mining machinery industry cross-border e-commerce platform, selected as Ministry of Industry E-commerce Integrated Innovation Pilot Project, rated as a Cross-border E-commerce Key Support Project by the State Ministry of Industry, made outstanding contributions to promote the national information and industrialization of the deep integration of the development! 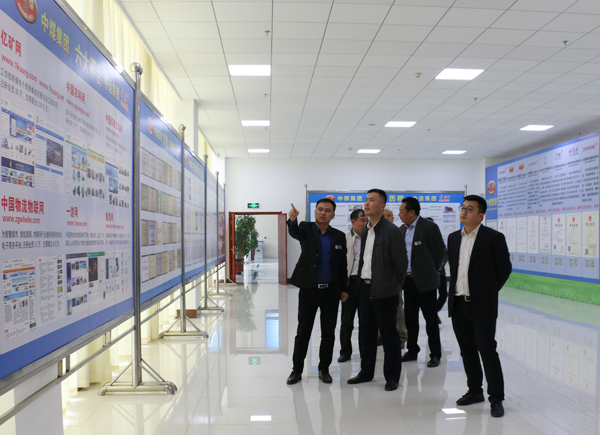 At the forum, Yantai Fushanyuan Administrative Committee gave a high degree of evaluation and fully recognized development achievements of Our Group in the cross-border e-commerce and foreign trade! Director Qi said that the current situation of China's foreign trade is grim, cross-border e-commerce is to develop foreign trade market, cultivate a new competitive advantage of foreign trade. 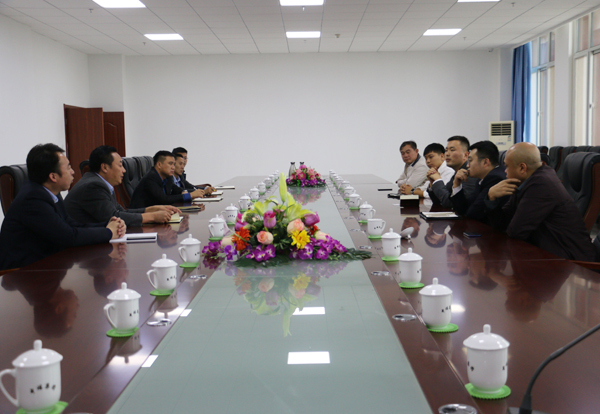 China Coal Group, as the key enterprise in the development of foreign trade in Shandong Province and the whole country, has set an example for the innovation and transformation of the national industrial and mining machinery industry. We once again visit China Coal Group, and it is urgent to through cooperation of China Transport Intelligent Machinery Group settling in High-tech Zone Fushanyuan Project to strengthen deep cooperation with China Coal Group in the cross-border e-commerce, e-commerce platform, personnel training and other areas, we will provide the most favorable policies and the most quality service for China Transport Intelligent Machinery Group's development in Fushan, to achieve win-win development! Deputy General Manager Han said that thanks to Director Qi and every leader for the highly affirmed of China Coal Group's development of cross-border e-commerce , China Coal Group adhere to the development strategy of stand on global, view worldwide, now has three subsidiaries, 36 professional companies, three Hong Kong companies, a British Cayman company, a US company, through cross-border e-commerce platform - 1kuang.net, products exported to 151 countries and regions in the world to build a diversified development of the market structure, become the industry trade leader with the development of cross-border e-commerce. We are very willing to Yantai Fushanyuan to strengthen the cross-border e-commerce, e-commerce platform and other aspects of the depth of cooperation, common development and long-term cooperation as the goal, through complementary advantages, sharing of resources to promote bilateral cooperation in the field of cross- Common for the country's cross-border electricity business to make more contributions to the rapid development!